Publications and news outlets around the country have taken notice of our premium cosmetic restorations, and for good reason. View all our featured magazine, publication, and cover stories below. Westlund Dental Studio was excited to see one of their cases showcased in New Beauty magazine. The patient is a model and actress and wanted to improve her smile but still have a natural look. The patient opted to keep a small diastema to give her a more unique look. Westlund Dental Studio was honored to have their work featured on the cover of the American Academy of Cosmetic Dentistry’s quarterly publication, The Journal of Cosmetic Dentistry. This is the second time one of Westlund’s cases has been featured on the cover. 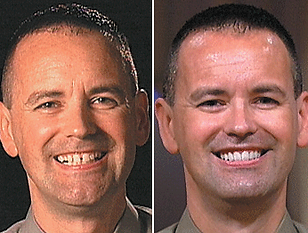 On July 29, the Oprah Winfrey show highlighted a smile makeover case featuring the work of Dr. Jennifer Moran and Minnesota’s Westlund Dental Studio. Dr. Moran, of Water Tower Dental Care in downtown Chicago, provided her patient with eight Empress veneers while 20 million viewers watched! The show, entitled Just One Thing, also featured several other ways in which people enhance their appearance (lips, glasses, hair, wrinkles, etc.). 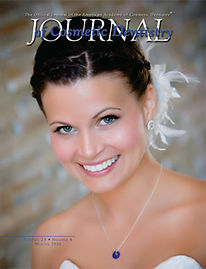 Westlund Dental Studio was honored to have their work featured on the cover of the American Academy of Cosmetic Dentistry’s quarterly publication, The Journal of Cosmetic Dentistry. The case was part of a live patient over the shoulder program held by Westlund Dental Studio.